We like to keep our ambassadors busy. Very busy in fact! 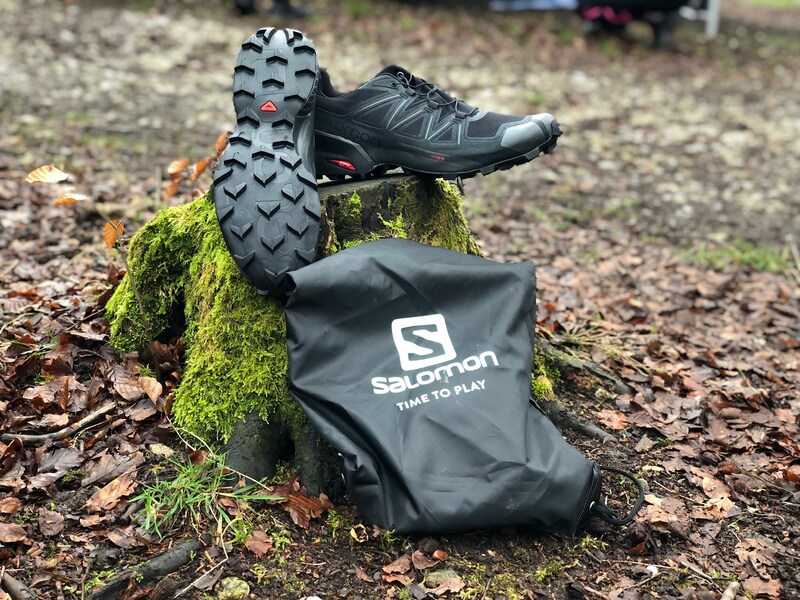 It doesn’t seem two mins since our last Ambassadors’ Day but another one has rolled along, and this time the mighty Salomon have found ‘Time To Play’ with us, and for us to test out the awesome new Salomon Speedcross 5! 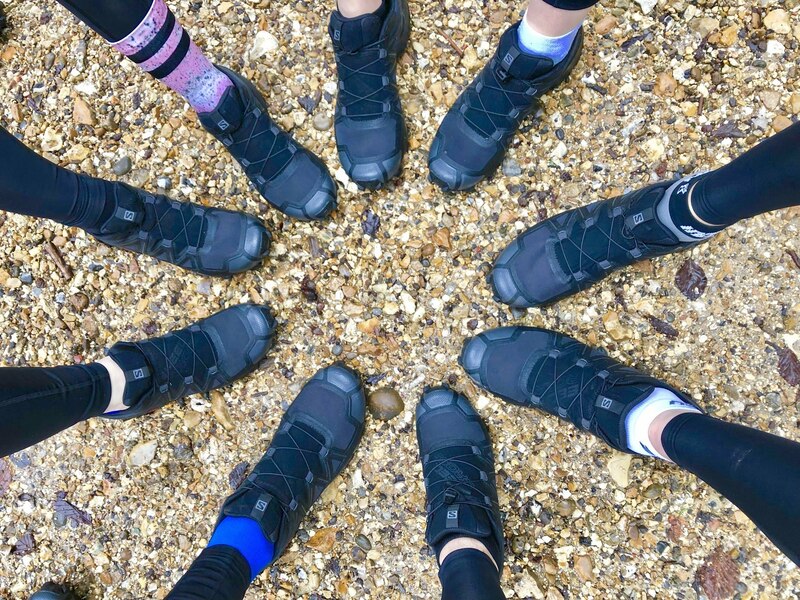 The Speedcross series have been one of our most popular selling trail shoes for years and the team were very excited to trial / trail their latest incarnation! It’s one of our go to shoes when people come in store looking for something aggressive with great grip! 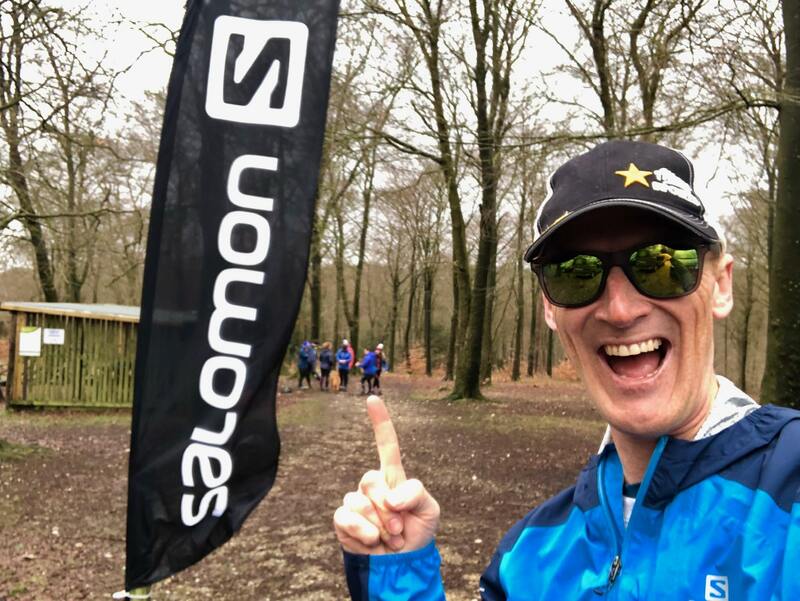 Where better to host a day of trail running than QE Park in Hampshire… which leads on to the South Downs Way and has some of the best (and muddiest!) trails that Hampshire has to offer! 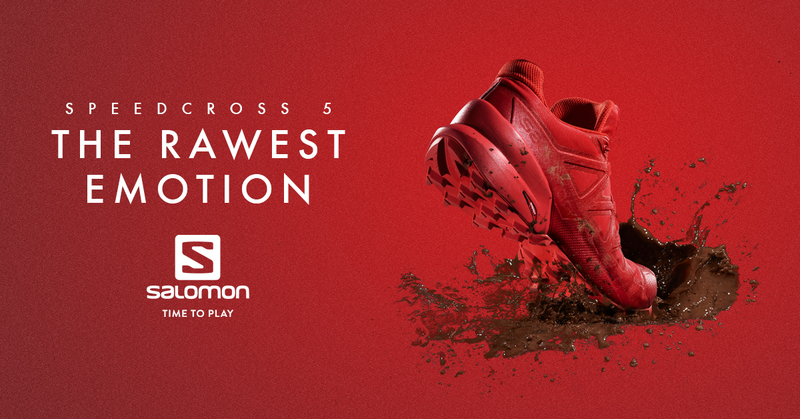 “The new Salomon Speedcross 5. I have owned the Speedcross 3 & 4 previously, so I was eager to test the 5 out. I always go a size up. I had a couple of short trail runs and a few walks prior to a 20 mile trail run along the North downs way to test them to their fullest. It was multi terrain, very muddy, steep ascents and descents too. Upon first look you can see there a quite a few changes and all for the better. The material on the upper, around the toe box & the laces blend together more seamlessley for a sleeker look. The toe box is reinforced and my narrow feet fitted quite snuggly inside with still enough room for movement on the trails ahead. I loved the 3 previously but the 4 felt overly generous in the toe box, almost like the upper had stretched over time. My midsole and arch felt like they had more support than the 4. The Achilles support was much improved, higher than the 4 and soft to prevent any rubbing. The best bit, the lugs!! Much wider apart than the 4 so that the mud falls off easier rather than being held on the sole and it did. They point in the direction of the gradient to either help as a brake on the descent or aid the forefoot drive uphill. They held their own through the thick mud, puddles, sand and even on partly chalky areas. The sole feels different, lighter and more responsive especially on the steep descents when negotiating tree roots, stones and fallen branches from Storm Freya. 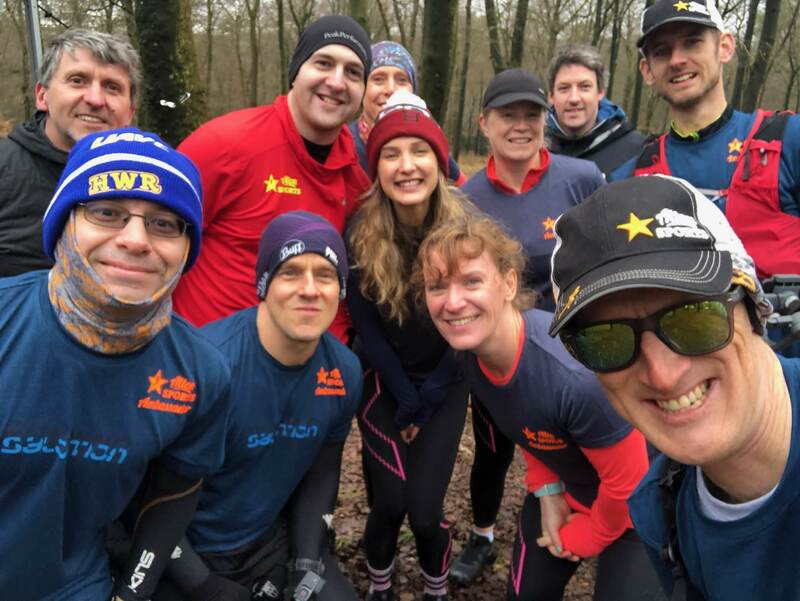 “Ever since getting the Salomon Speedcross 5, I’ve been determined to get another run in them before the spring/summer really arrives… yesterday’s club run was the time! Admittedly not the best day to go mud hunting when the recent has dried up most of it. So it was a case of enjoying them for their comfort & grip on such varied sandy/muddy terrain. Thanks very much to Salomon for coming to see us and to our ambassadors for trying the shoes out! You can come and try them in-store or check them out online right here. After the highs of ‘focus February’ the training continued with Toby (Alton Sports founder and super quick runner) always a text message away giving advice and encouragement. 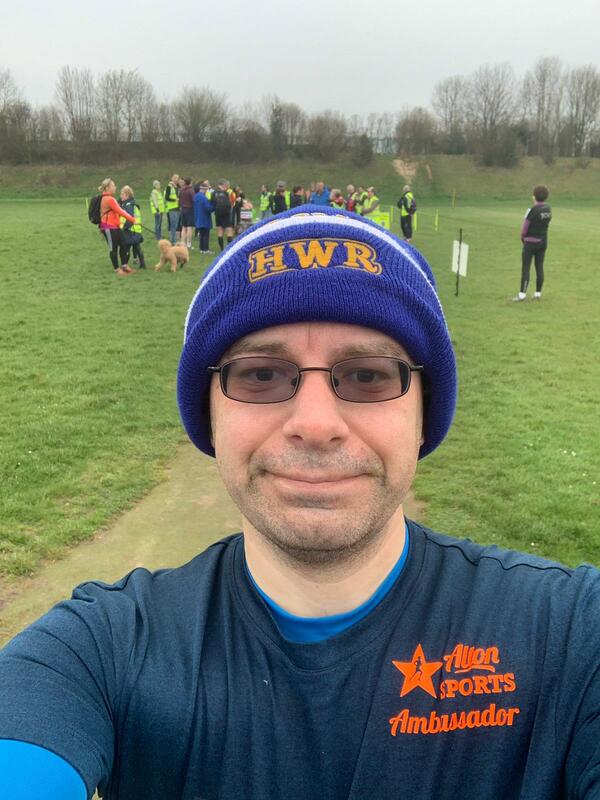 The month started with a nice parkrun sandwich, I ran 3 miles to parkrun, did the parkrun, scored a PB of 25:23 & unbeknownst to me I did my 50th Parkrun all in a nice neat package. I then had a slow 8 mile run home, Marathon day felt so far away & yet it is closer than I thought. 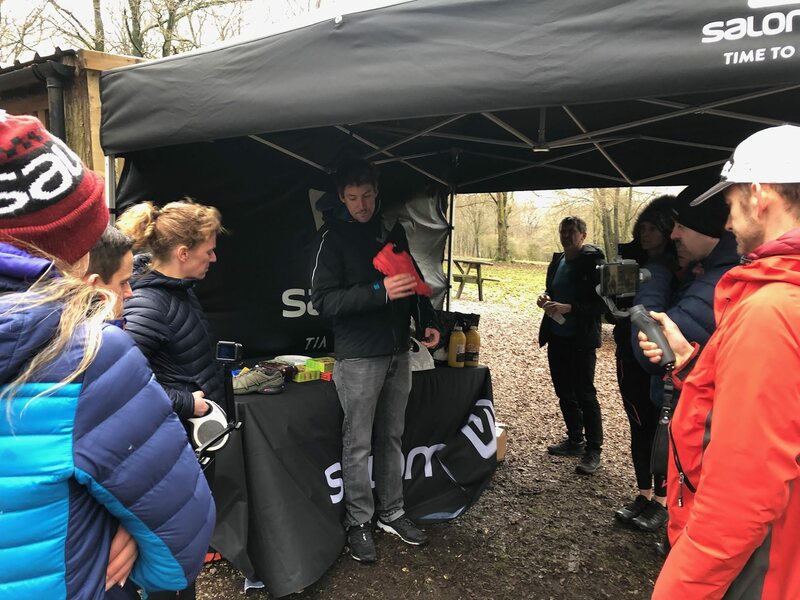 The week carried on with standard training runs with speed targets thrown in, I also got to attend an Ambassador Day presented by Salomon & we got to try out the Speedcross 5 shoes – I am really warming to trail runs and it’s good to mix up the types of surface you run on. Sunday 10th March brought the official warm up race for the marathon. I was running in The Big Half in our nation’s capital! 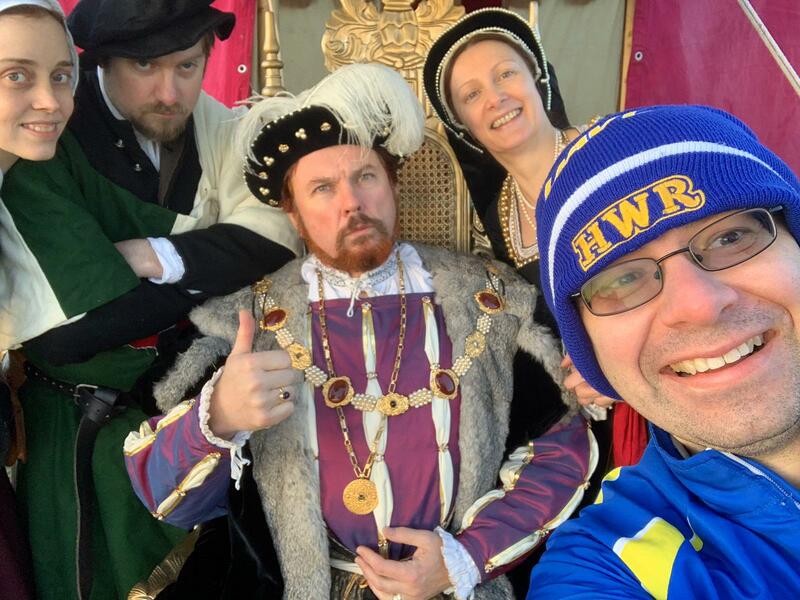 I travelled to the event with some other members of my running club and as some of them were a bit quicker and we were all starting in different starting waves Due to the bad weather I was really cold, I was taken pity on and I was given a plastic bin liner to wear before the race, I started to try and maintain some body heat. This was the second race I have attended and Sir Mo has been competing, however this time I was free to cheer for him, I started about 25 minutes after he started so by the time I got to see him on the other side of the course he had already done six miles, however I made sure I gave him a big loud “Come on Mo” that was obviously what he needed to spur him on to win the whole race.I did have to stop for the first time in a race for a comfort Break but actually once I was back in the race I knew I was against the clock so I really did run as hard as I could. The March Miracle came at the finish when I came in with a chip time of 1:52:13, I had a watch time of 1:51:22, and I even made it on the TV. The course was awesome, flat, fast and part of the London Marathon course. The next target Toby has set for me is a sub 1:50 half marathon time, I believe with the right attitude and hard work this is achievable. Sadly the good result I had achieved at London had taken its toll on my ageing body and I walked away with a hip & a knee injury. I knew I was in pain the moment I tried to do my recovery run and it felt like I was kicked in the rear the further I ran. After consulting with Toby he changed my training plan and instructed me to foam roll, stretch and rest. With my training runs dialled down I was willing my hip to stop hurting. The following Saturday I went for a Toby approved 3 mile run with my running buddy & chief medical advisor, Nurse May, she said the same thing as Toby and we still managed a fast run covering 5K in 25:10. I was happy with that pace. As time moved on I found the hip feeling better & I attended an interval session on our local running track, I am not a track person but I did enjoy the session and I gave my hip a good test. I put my big boy shorts on and tried my hardest, I achieved a second parkrun PB of the month in 25:11, looking back it’s only a few seconds but at the time it was a big deal and I was waiting for the award ceremony. Sadly I still had to run a further 8 miles home. 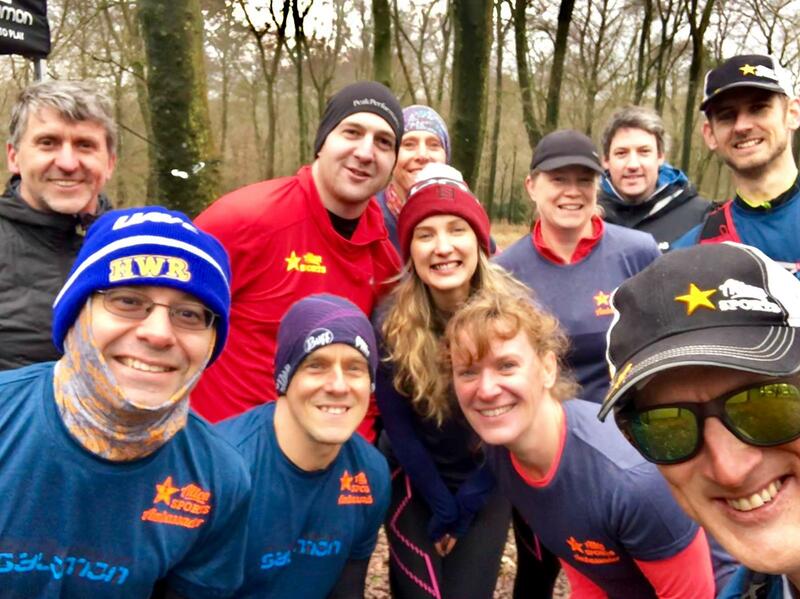 The final week of March presented itself with a personal challenge for me, as always I give Coach Lambert the options my running club have and he chooses if I run with the club or on my own to his targets, this time he picked an 8 mile club run with a much faster group than whom I normally run with. 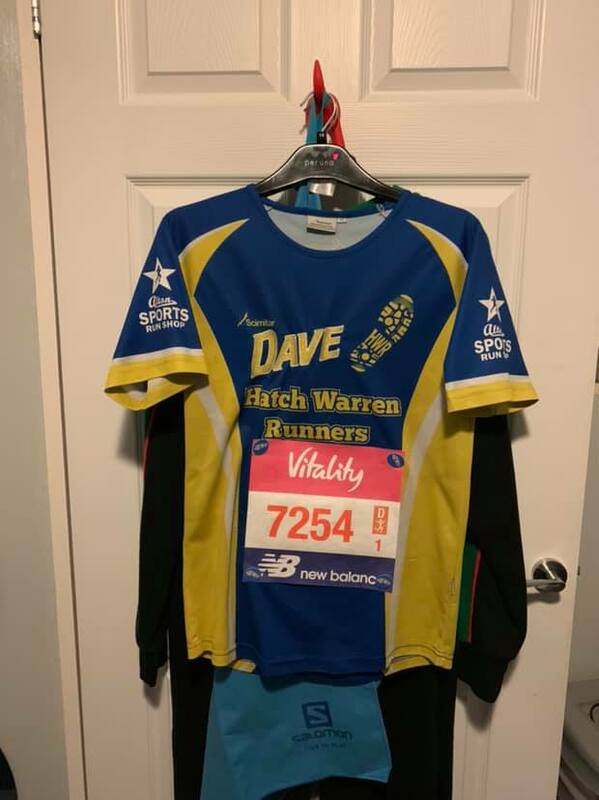 On this night I did 8 miles with the “wolfpack” – I was fortunate because Richard (The speedy Swede and Alton Sports team member) was running that night and like he did at Farnborough he paced me perfectly, to the point that I wasn’t the last “wolf” back to the meeting point. March has been a miracle, I have clocked up 110 training miles, overcome an injury and I am looking forward to being on the start line of the London Marathon in Amazing April.